My name is Lauren, but those closest to me call me Lulu. I am a food-loving, east coast transplant, living in Buckeye Nation, or less commonly referred to as Columbus, Ohio. I live with my wonderful husband, David, and our cuddle monster Berner, Tito. As it stands now, our life pretty much revolves around Tito, Buckeye Football, good food, and good wine. I suppose my knack for cooking has always been deeply rooted in my DNA, as I come from multiple generations of Lady Bosses in the kitchen. It was only a matter of time until that culinary bug of mine transformed into a burning desire to create delicious, nourishing meals to share with others. My love of cooking has been grounded in the theory that FOOD GATHERS GOOD COMPANY. It gathers family, it gathers friends, it fosters communication, and is the catalyst to human connection. For as long as I can remember, food was to be enjoyed in the company of others. Whether it be a week day dinner with family, a Holiday spent with relatives, or special celebrations, food is always found at the center of it all. My education and professional career has, to no surprise, managed to parallel food. A Nutrition major in college and a current Pharmaceutical Rep for the diabetes and cardiovascular industry, has given me the knowledge and ability to bypass our flawed food industry and control how I nourish my temple. I love to use clean and healthy ingredients for most of my meals, but can’t resist a good mac and cheese night or a game day buffalo chicken dip! 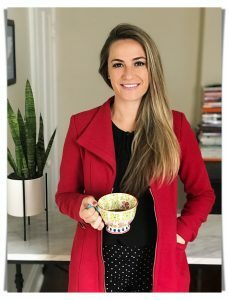 My goal for this blog is to share recipes that have brought my friends and family good meals, good conversation, and cherish-able moments; while my hope for this blog, is that it inspires people to reconnect with one another, by having the confidence and recipes to host people at your table. Whether you’re setting a table for two, or a table for ten, I will be here to guide you! If I accomplish nothing but one thing, I’d like to encourage you to make your table your own, to gather your people, and to have fun doing it!